These lessons are for kids aged 6 to 13. 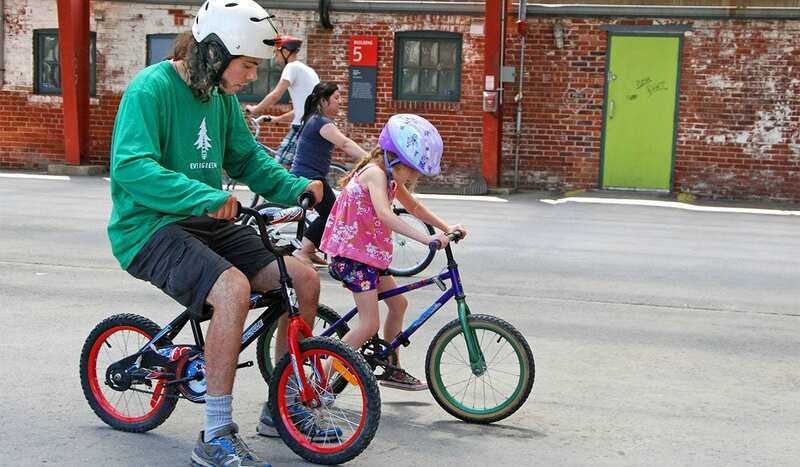 Lessons are led by experts from Bike Works, and kids will be encouraged to progress at their own pace, in a safe and encouraging environment. Bring your own bike and helmet, or borrow one onsite. All riders must wear helmets! Both group and private lessons are available. Group lessons cost $35 each. Please register in advance via CampBrain. Private Lessons cost $60 for a one-hour session. All abilities welcome. Please contact bikes@evergreen.ca to arrange your lesson.